The Spanish card games or “naipes” use to be the best fun in the home, as they gather around a table a group of friends or family with the sole purpose of hanging out to have fun and relax. 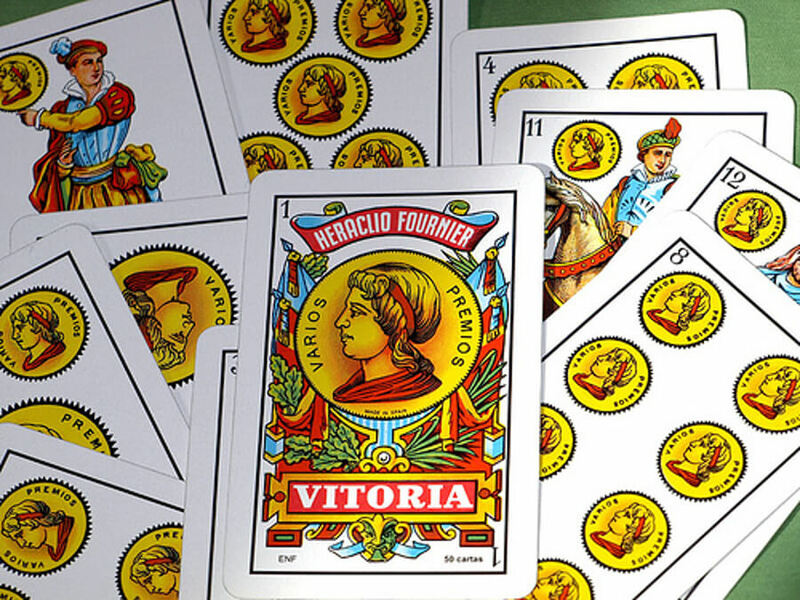 A pack of cards should be present in every Spanish home because they represent an excellent pretext to spend pleasant hours involved in some of the many games that exist in Spain. An important advantage of playing cards compared to other electronic games in vogue today, is that children can participate in many of these games, which provides a very appropriate framework for them to share time with their parents or relatives under a mutual goal to have fun, which clearly has a positive effect for everyone. Card games have other advantages for adults and children: they develop intelligence, educate memory, promote self-esteem and self-control, demand high attention at all times, and, finally, remove the player from the worries of everyday life.